Bulls can fly? Technically not.. but if you leave yours where it's forbidden, it's just a matter of time before two guys come and move it on a tow truck. 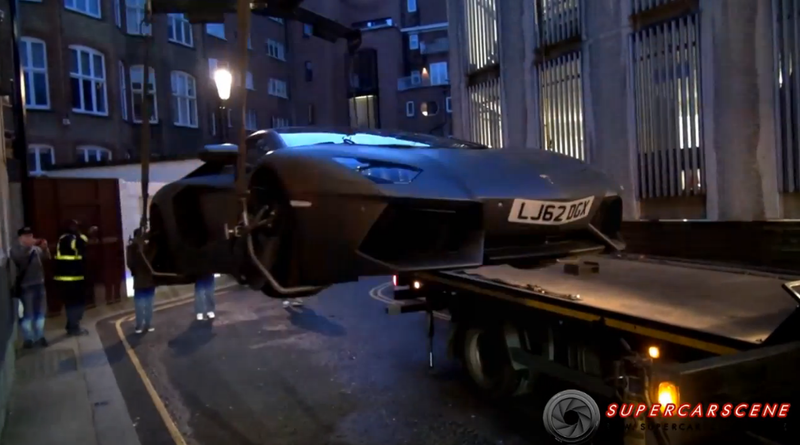 This matte grey Lamborghini Aventador was left alone in a street of London and it's a good thing the owner didn't saw his car being impounded since the guys have moved the expensive supercar in a very unstable way!